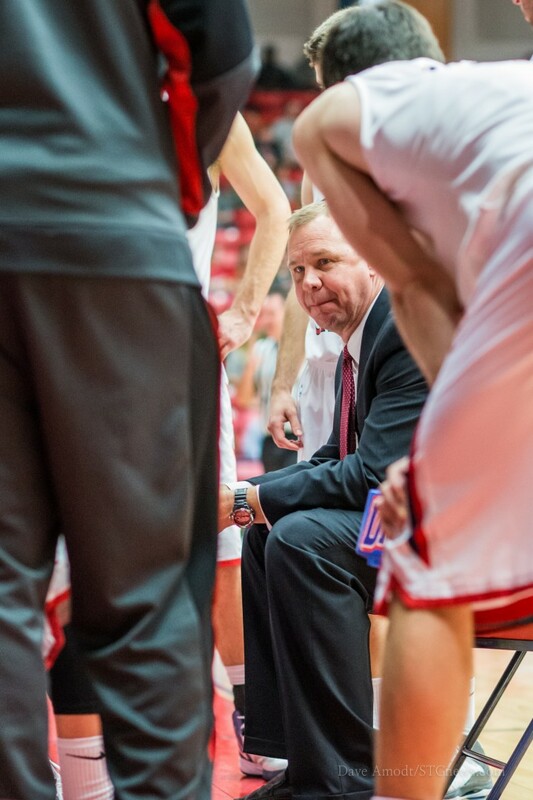 ST. GEORGE – Dixie State’s Men’s Basketball team earned its eighth NCAA Division II tournament bid in the program’s 12th-season of four-year competition as the NCAA announced its 64-team tournament field Sunday night. The No. 18-ranked Trailblazers, who this season have won a school-record 23 games (23-6), were awarded the West Region’s No. 2 seed and will face No. 7 seed and fellow Pacific West Conference member Azusa Pacific this Friday, March 9, at 3:30 p.m. (MT) in Monmouth, Ore., on the campus of West Region top-seed Western Oregon. DSU and APU (20-10) met only once this season in PacWest play, with the Trailblazers posting an 88-73 home win inside the Burns Arena (12/9/17). Dixie State, which won its sixth Pacific West Conference regular season title in 11 seasons, earned its trip to the “Big Dance” by virtue of winning its second PacWest Conference Tournament championship with a 66-64 victory at No. 18/19 California Baptist last Saturday night. The Trailblazers enter the tournament as one of the hottest teams in the country, having won a school-record 17-straight games. DSU’s current streak is the second-longest in the West Region, bested only by the regional tournament host Western Oregon (22-straight). Dixie State has advanced to the NCAA Division II Men’s Basketball Tournament eight times in nine seasons since 2010, including six-straight appearances from 2010-15, and advanced all the way to the West Regional final (Sweet 16) in 2011. Overall the Trailblazers are 2-7 in NCAA tournament play, with both victories coming in that 2011 appearance. “I’m excited and really happy for our guys,” DSU Head Coach Jon Judkins said. “To get a number-two seed, where last week we were number four, I think the [NCAA Selection] committee got it right. We’re playing good right now and I’m was glad to see that. Rounding out the West Region field is No. 1 seed and Great Northwest Athletic Conference champion WOU (29-1), which will square off against PacWest member No. 8 Point Loma (21-9), while PacWest member and No. 3 seed CBU (25-5) will face No. 6 seed and CCAA tournament champion UC San Diego (21-10), and No. 4 seed Cal Poly Pomona (23-6) will play No. 5 seed Saint Martin’s (24-8). In all, four PacWest schools, two CCAA members and two GNAC members make up the field. All West Regional games will be played in the WOU New PE Building. The semifinals will take place on Saturday, March 10, and the regional final will be played on Monday, March 12. Eight teams were selected from each of the following eight regions for the 64-team tournament: Atlantic, Central, East, Midwest, South, South Central, Southeast and West. The winners of each of the eight regionals will advance to the 2018 NCAA Elite Eight, which will be held March 21-24, at the Sanford Pentagon in Sioux Falls, S.D. Visit www.dixiestateathletics.com and www.ncaa.com for complete NCAA Division II Men’s Basketball tournament information.